After a very long series of rollovers, the jackpot in the US Powerball reached $768.4 million on March 27th, 2019. This amazing prize was won by a single lottery ticket sold in Wisconsin, which was the only one with all the 5 main numbers and the Powerball – 16-20-37-44-62/12. This is a legendary win for the US Powerball. 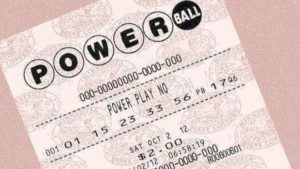 Before the draw on March 27th, the Powerball draw was estimated at $750 million. However, the prize ended up being increased to $768.4 million because of the massive ticket sales. This was a game-changing boost because it made the jackpot the third largest lottery prize in the world, topped only by the two billion-dollar prizes – the $1.58 billion prize in the Powerball and the $1.53 billion prize in the Mega Millions. The jackpot boost made the Wisconsin winner the runner-up on the world’s largest lottery win list because it made this prize larger than Mavis Wanczyk’s $758 million Powerball jackpot. Back in 2017 when she won the prize, he was the world’s biggest winner (on a single ticket). In the meantime, she was bumped to second place by the anonymous South Carolina winner of the $1.53 billion jackpot in the Mega Millions, and now to third place by the Powerball winner from Wisconsin. That’s right, the mystery Powerball winner from Wisconsin is now the US Powerball’s biggest jackpot winner of all times. While the jackpot itself is the second largest, the $1.58 billion prize of 2016 was shared by three winners, which means that each of them got a $527 million share. The Wisconsin winner will have to come forward publicly to claim the prize, as per state laws, which means that we will get to find out more about him or her in the near future. After this legendary win, the Powerball jackpot is back at $40 million, which is an incredible amount all by itself. Could this be the beginning of a new streak of rollovers leading to another massive pot or is the next jackpot winner just around the corner? There is only one way to find out! Put in your Powerball tickets online for the upcoming draw and you could be the one taking home the big prize! Good luck!